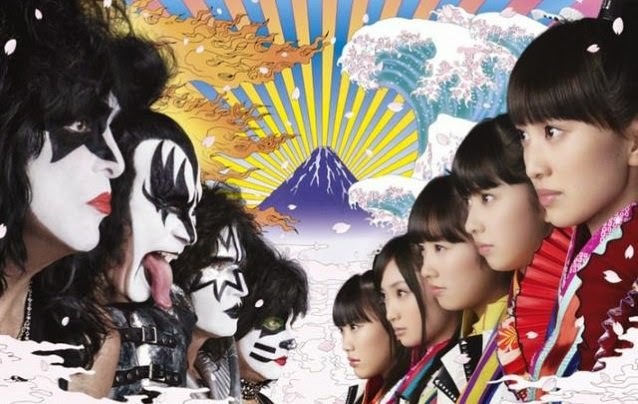 Here's video of KISS and Japanese idol group Momoiro Clover Z making their upcoming video for the song "Yume No Ukiyo Ni Saitemina" in Las Vegas this past November. The song will be released on January 28th. An alternative version will appear on the "Best of KISS 40" compilation with another song titled 'Samurai Son'. See a clip of the video HERE.